Open up! 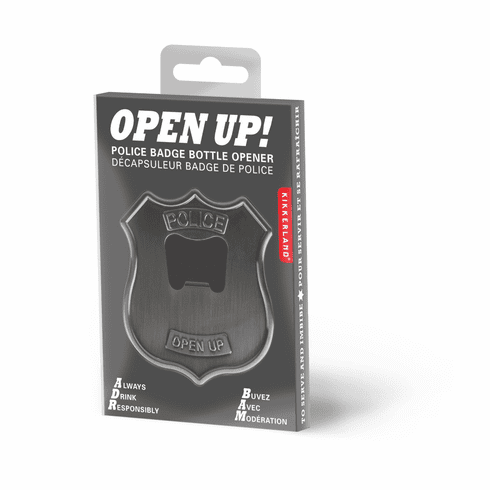 Only 1/16-inch thick and about the size of a credit card, this Police Badge shaped bottle opener can go with you anywhere. Use the cleverly crafted hole in the center to open beer and soda bottles. Slim design easily fits into pocket or wallet. Made with heavy duty 18/8 stainless steel.